The Ip Man <葉問> franchise is one of the most successful films to emerge from Hong Kong in the last ten years with a global following. Donnie Yen (甄子丹) is back as the legendary Wing Chun martial artist in Ip Man 4: The Finale, which was filmed in Shanghai, China and England. 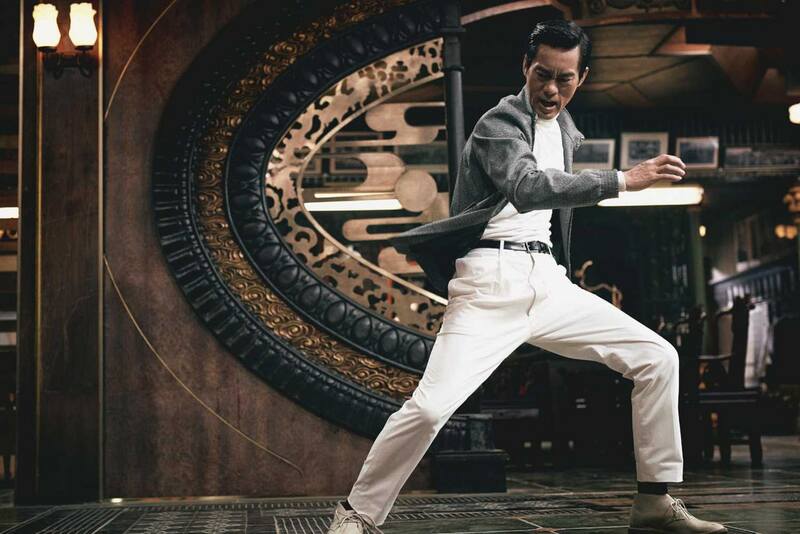 The latest trailer features a compilation of Donnie’s most thrilling fights from the previous Ip Man films, as well as new footage in the fourth installment. Ip Man is seen facing off the American military, as the story moves to the United States, where Ip Man’s pupil, Bruce Lee, opens his own Wing Chun school. In the clip, Ip Man is seen as saying he will use martial arts to change foreigners’ bias against the Chinese. Today, the cast including Donnie, Danny Chan (陳國坤), Lynn Hung (熊黛林), and 15-year-old actress Vanda Lee (李宛妲) promoted the film at FILMART 2019, a Hong Kong film and television expo. Wilson Yip (葉偉信) returns as the film’s director and Yuen Woo Ping (袁和平) as the action director. Ip Man 4: The Finale will open in theaters this summer. Cannot wait for the film. Donnie said “never say never” they should probably bring Wing Chun legend whom was Bruce Lee’s teacher other than Ip Man “Wong Shun Leung” and do a spin off of him. That would be very appealing. But I am a huge fan of the Ip Man films as well. @mmabelt05 Donnie said he would never do another Yip Man movies a few sequels ago. Money talks. He came crawling back to do a few more Yip Man movies after that. @mike Donnie does not and never has had to crawl for anyone. Are you saying you wouldn’t have made the same choice?